This guy is great! His name is Jeff Balek. 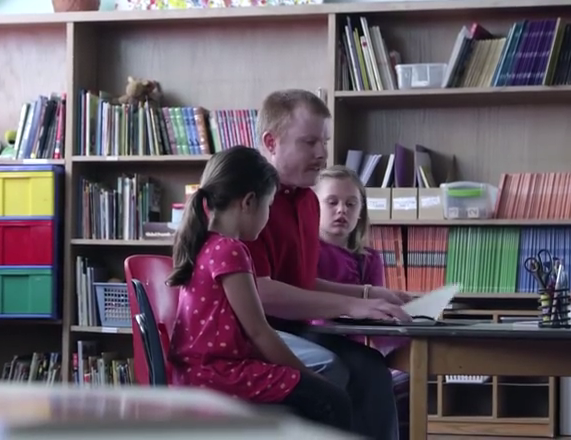 He was born blind and teaches kids to read at the local YMCA. He volunteers for the 2nd and 3rd grade reading program. He follows along in Braille while they read it in print. He loves seeing the kids progress and overcome their obstacles. It’s rewarding for him and a good way to give back to the community. Jeff can do great things overcoming his own obstacle. What can you do? This story was found in The Good News Network.